As I mentioned in my Cauliflower Mash post, it seems like we've all grown accustomed to serving our meaty mains with a big side of carbs. I'm a big big fan of all types of curry. It's an easy, spicy way to fill up on delicious meat and veg. However, without some lovely wholegrain or basmati rice to soak up the sauce, you can end up feeling a little cheated. That's where Cauliflower Rice comes in. It's ridiculously easy to make and with 3 net grams of carbs per 100g of cauliflower, it's just another little thing which can help you forget that you are 'restricting yourself' while eating a low carb diet. I'll usually grate one whole head of cauliflower while I have the blender out, then cook half to serve two people. I'll pop the other half in the fridge where it'll last for about 3 days if airtight. 1. 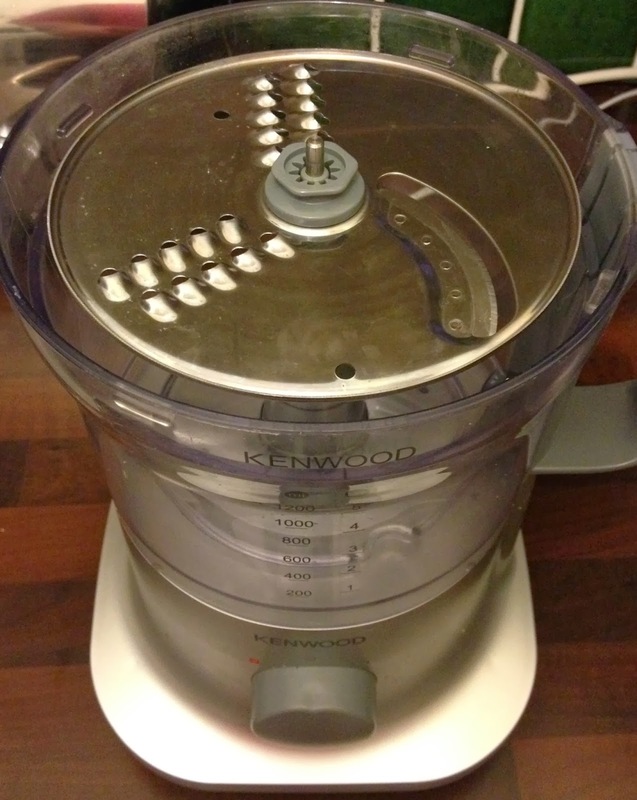 Using the chopping blade on your food processor, roughly grate the raw cauliflower, one floret at a time. If you don't have a processor you can grate it by hand with a cheese grater, it'll take a little more time but the end result is the same. 2. 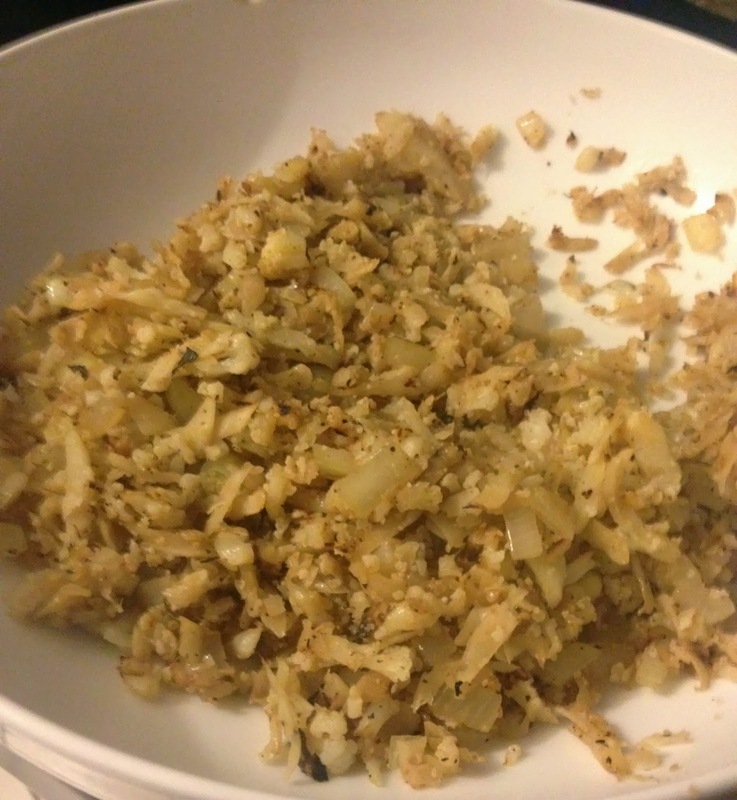 Put the onion and garlic into a pan and fry over a medium heat. I like to use rapeseed oil for frying as it is very low in saturated fat. 3. 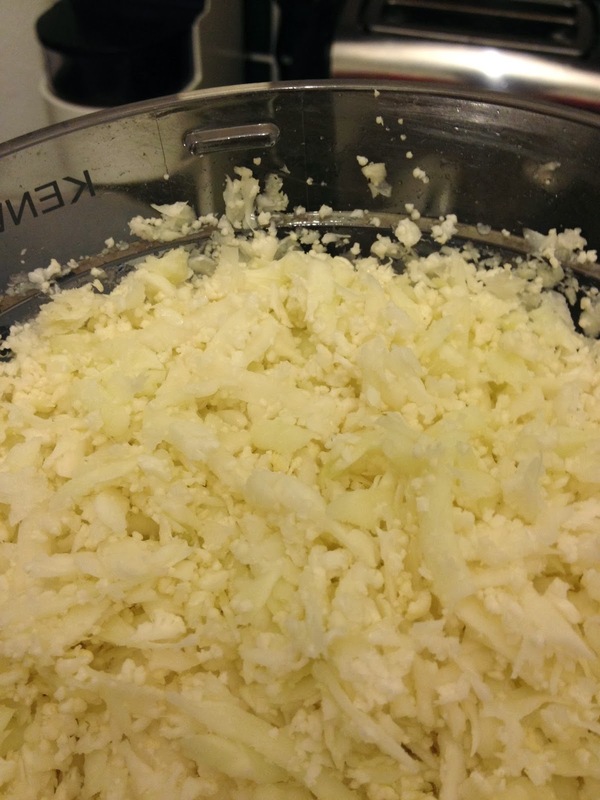 When the onion has slightly softenened, add your cauliflower and stir. 4. Season with salt and pepper as desired- I like a LOT of black pepper. 5. 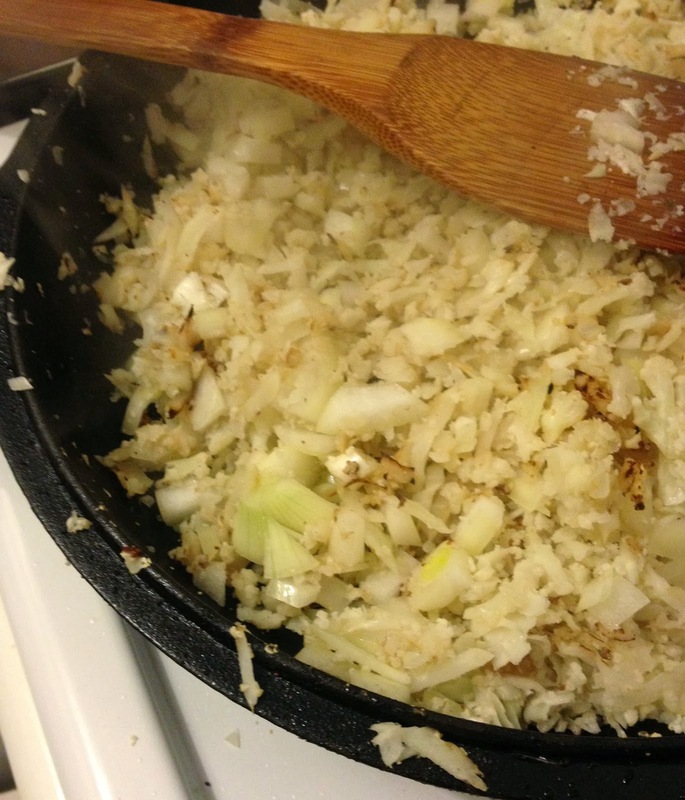 Continue frying and stirring gently over a medium heat until the cauliflower starts to brown. This will take about 15 minutes, but can vary depending on the water content of the vegetable. You'll know it's ready when it's brown and fluffy. 6. Serve with your favourite curry. 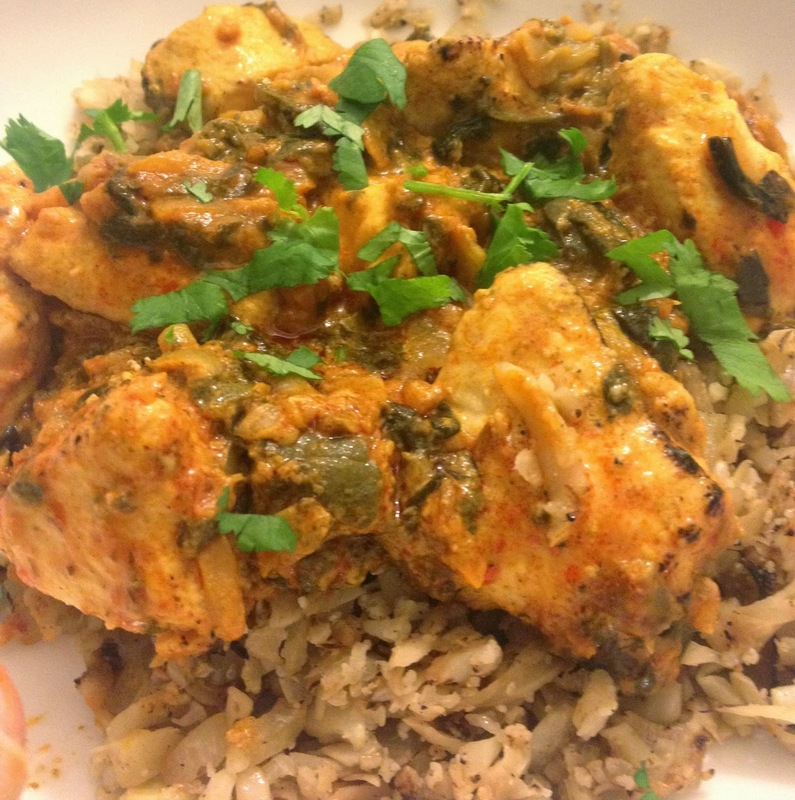 Why not try my friend L's awesome Chicken & Broccoli Curry?